District 17 Kelly’s Cross-Cumberland MLA Peter Bevan-Baker is holding two public meetings next week to hear from people in the district. 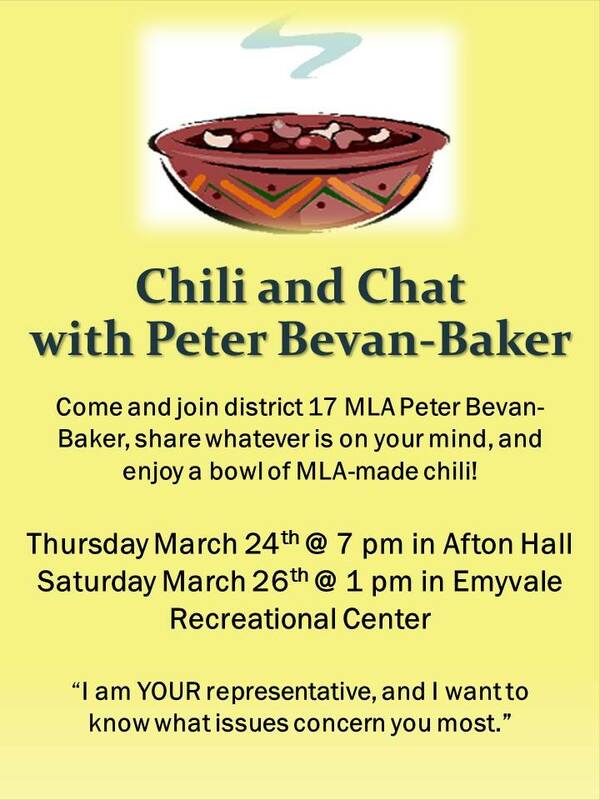 The events will take place on Thursday, March 24th, 7:00 p.m. at Afton Hall and Saturday, March 26th, 1:00 p.m. at Emyvale Recreational Centre. Chili, snacks, and tea/coffee will be provided.